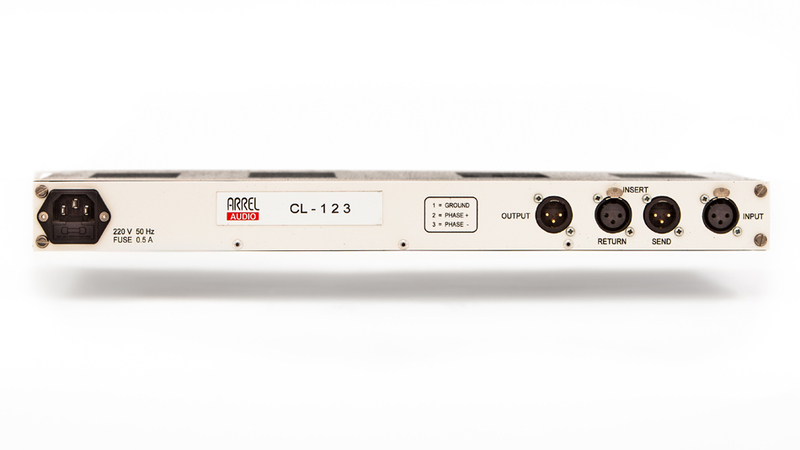 CL- 123 channel strip has been conceived to give to the professional user a unit that combines high reliability, rugged design, audio quality, versatility and ease of use. CL-123 is perfect for recording every kind of music from classic, pop/rock, electronic and in all the situations where maximum sound quality and special attention to dynamic range and signal to noise ratio is needed. 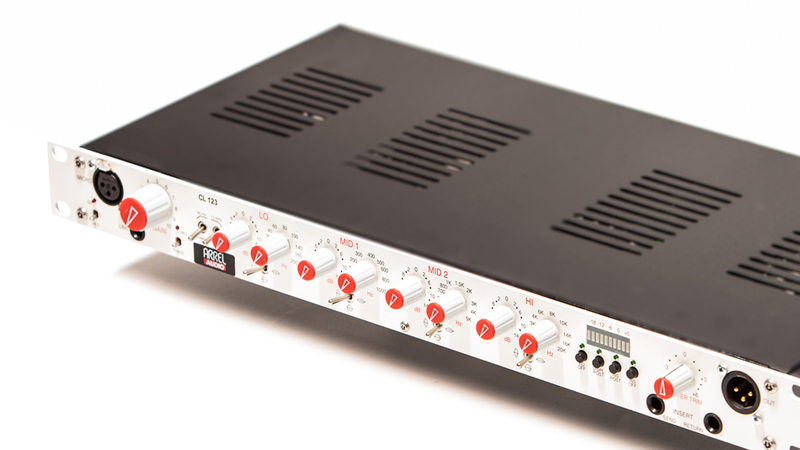 The CL-123 technical specifications shows that it is the perfect audio system for actual digital recording 24bit/192kHz environments where superior performance is required. CL-123 is based on the use of the latest circuit topologies, characterized by very low distortion, ultra-low noise and very wide frequency response. The amplifier architecture is based on two high dynamic range gain stages in order to avoid saturation. Even if the input stage of the CL-123 do not saturate up to +24 dBu, a special protection circuit limits the input level at +20 dBu in order to prevent any damage. The extended input dynamic range avoids the necessity of the input pad. The channel strip contains a special circuit that allows the connection of microphones even if the unit is turned on with the Phantom Power activated. 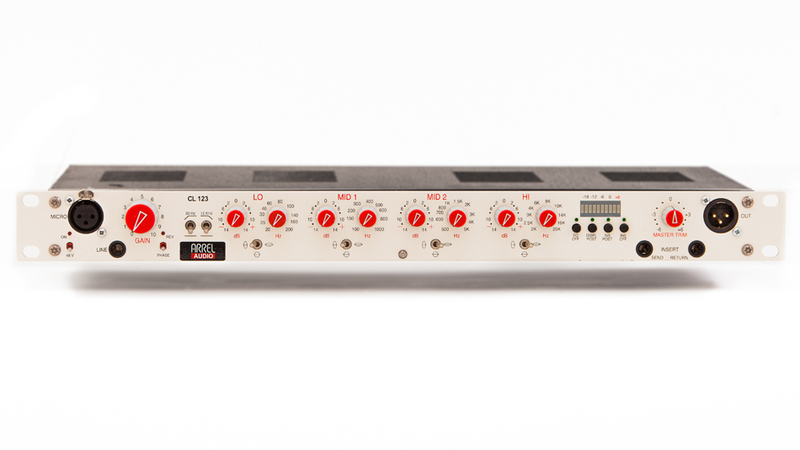 CL-123 also provides a four band fully parametric EQ with High-Cut/Low-Cut filters at fixed cut-off frequencies (80Hz/12kHz) which can be activated by a switch. Each filter stage is completely excluded from the main circuit if not in use. The emphasis/de-emphasis adjustment is based on a special circuit that controlling the input and output level of the filters guarantees a very linear and accurate control. 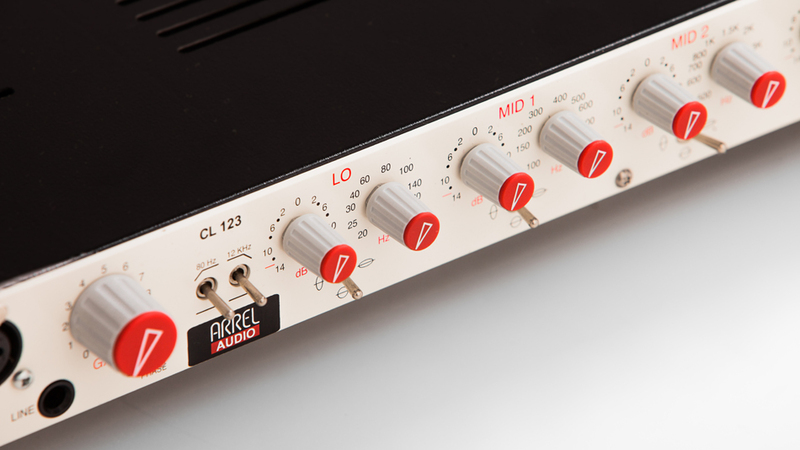 Differently from other parametric EQs, the CL-123 is dedicated (due to his absolute sonic level quality) to high professional vocal recordings, classical instruments, high dynamic range instruments such as drums and percussions. Max input level +20 dBu (internally limited to +12 dBu). Line Input Unbalanced, Impedance 22 KΩ, (this input can be also used as EQ input). Level 0/-30 dBu. Max +23 dBu. Low Cut Filter 80 Hz, 12 dB / Oct.
High Cut Filter 8 KHz, 12 dB / Oct.
+/- 14db gain range for emphasis/de-emphasis. Level +4 dBu. Max +28 dBu. 4x red LEDs (48V Phantom Power, Hi-Cut, Lo-Cut, Phase). Balanced XLR female/male for Insert (Send/Return). AC mains IEC C13 16 A connector, AC mains cord with IEC Schuko 16A. Dimensions W 483 mm / 19”, H 44.45 mm/1.75” (1 RU), D 225 mm / 8.86”. The summing busses in the ARREL Audio units are implemented by using active fully balanced summing busses for maximum audio performances and noise rejection.